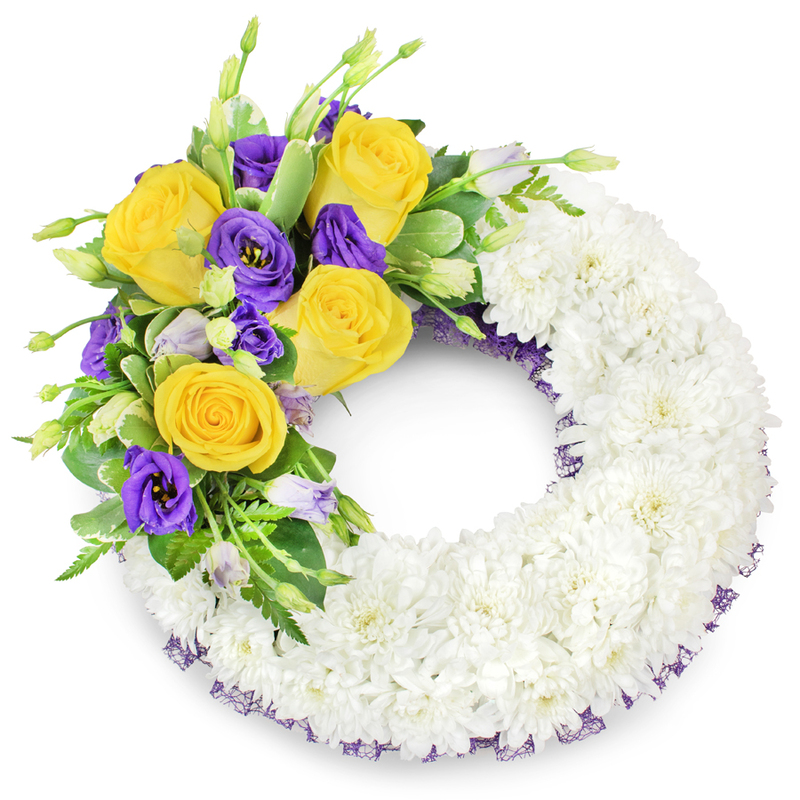 A lovingly created wreath consisting of white chrysanthemums, yellow roses and purple lisianthus. Representing the circle of life, wreaths are very suitable when it comes to expressing your sincere sympathy. Handy Flowers is my favourite florist after buying funeral wreaths 2 times and getting quality services all the time. Amazing flower delivery, the wreath was as expected.Thanks a lot for everything. Please accept my heartfelt appreciation for all that you did last week. Your team paid such a great care to our needs. The flowers that were delivered to the funeral home were very suitable. Very pleased with the flowers. Thanks! Friendly staff, lovely flower arrangements and safe deliveries. The best service I've used till now. The whole experience I had with this company was pleasing. They know the value of their customers' time and deal quickly with all inquiries. For me, it was really easy to order, I even called couple of times to make additional changes. The team responded very quickly and saved me a lot of stress and worries. Good job indeed. Delivery was punctual and the wreath looked very beautiful. Thank you Handy Flowers for helping me express my feelings with this classy arrangement!